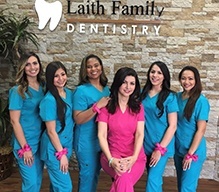 At Laith Family Dentistry, we are dedicated to helping our patients keep their smiles whole and healthy with preventive dental care and education about best practices in at-home oral hygiene. 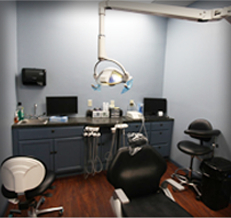 However, when you do need to repair dental damage or decay, our San Antonio dentist and team are here to help. We offer conservative restoration options to fully repair lost dental structure and function while preserving the greatest amount of healthy tooth. 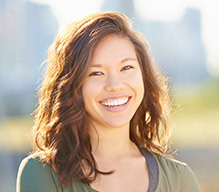 Two of our most often used restorative dentistry services are dental crowns and bridges. These custom restorations can be crafted to look, feel, and function like your healthy, natural smile, and with proper care, they can last for years. 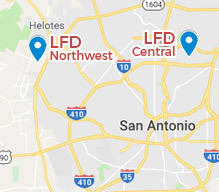 When you experience dental damage or pain, call our San Antonio dentistry team right away. We’ll schedule an appointment for you to come and see us as soon as possible, so we can repair your smile to full health. Crowns provide full coverage for cracked, broken, or decayed teeth. They're also commonly placed after a root canal procedure to protect the tooth from developing a new infection. They're also used when a large filling wears out; the larger the hole made by a cavity, the more likely a crown will eventually be needed. A crown will support a weakened tooth, providing strength and protecting it against breakage. It will also protect the root underneath. Tooth roots stimulate bone growth in the jawbone, nourishing it as the years go by and preventing tooth loss. It takes two appointments to restore a tooth with a crown. In the first, Dr. Kadamani will remove any decay from the tooth and shape it to accept the crown. Then we'll take an impression of the tooth. Our lab will use this impression to fabricate your crown. Between the two visits your crown will be made, usually of high-strength porcelain over gold alloy, all ceramic material, or gold. In the meantime, you'll wear a temporary crown. Then, at your second visit, we'll remove your temporary, adjust your permanent crown as needed, and cement it in place. A bridge is a special prosthetic used to fill in the space, functionally and cosmetically, created by a missing tooth. It's formed to resemble the tooth you're missing and uses two surrounding teeth for support. Bridgework is as much an art as it is an exact science. Your prosthetic may be made from gold alloys, porcelain bonded to metal alloy, or ceramic. 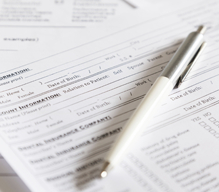 The choice of material depends on requirements for strength, wear, and/or esthetics. Replacing a missing tooth as soon as possible is important for several reasons. Teeth surrounding the gap can shift inward over time, changing your smile's alignment. As your bite changes, this can eventually result in problems with the entire jaw and can even lead to the loss of other teeth. 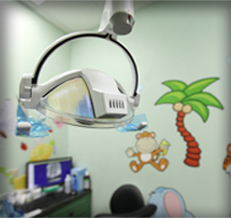 Gum disease also becomes a serious problem, with the difficulty of treatment increasing as the neglect continues. Once your dental crown or fixed bridge restoration is in place, we’ll walk you through best practices in at-home oral hygiene. For the most part, you can continue to brush and floss daily and visit us twice a year as usual, but to prevent unnecessary damage or wear, we may recommend making some changes to your oral hygiene products. Switching to a softer bristled toothbrush or minimally abrasive toothpaste is essential to avoid wearing down porcelain. We may also encourage you to use a waxed floss to avoid tugging around the edges of your dental crown or fixed bridge that can dislodge the restoration.